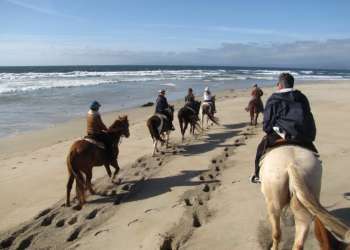 There aren&apos;t too many places with the number of historic sites that are found in Monterey. The early California adobes downtown and the historic cannery buildings on the oceanfront of Cannery Row combine with the vibrant and colorful stories of immigrants, artists, writers and political figures to create a rich Californian tapestry. The Adobes of Monterey are nestled in quiet gardens, almost invisible at times, save for the plaques identifying them. The only way to see them properly is on foot. These charming relics date from the late 1700s to the mid-1800s. The Monterey History and Art Association has lovingly restored these dwellings from Monterey&apos;s Mexican past: some have the original furnishings or furniture of the period, and many have restored gardens. Various events lend the adobes a festive flair, especially the annual Christmas in the Adobes, a popular December tradition when luminarias light the paths and the fragrance of Mexican hot chocolate fills the air. The Path of History is one of the great bargains on the Peninsula. This self-guided, two-mile tour of Old Monterey — marked by yellow tiles set in the sidewalk — explores adobes, gardens and sites of interest. Maps are available for individuals and groups. Free guided tours are held on most days, leading visitors to such sites as the Cooper Molera House and Garden, the Custom House, Larkin House, Casa Soberanes and more. You can also visit the interiors of some of the adobes and other historic buildings. See the latest information on these free guided tours on the California State Parks website, or stop by the Pacific House Museum on Custom House Plaza for a current schedule of guided and home tour hours. Monterey&apos;s maritime past comes alive at the Museum of Monterey situated near Fisherman&apos;s Wharf in the Custom House Plaza, Monterey State Historic Park. This museum showcases Monterey&apos;s seafaring heritage, explaining the role Monterey&apos;s harbor played in early California history and as a home to the US Navy. Cannery Row&apos;s early history was established, as its name implies, as a turn-of-the-20th century fishing harbor. During the late 1800s and early 1900s, sardines were caught in Monterey Bay and packaged by canneries along the waterfront of Monterey. Demand for sardines increased during World War I, and the industry experienced a boom. During World War II, Monterey was called the "Sardine Capitol of the World," but within five years the fish were gone and the industry died. It was during this period that Steinbeck wrote Cannery Row, telling the story of a derelict neighborhood through the eyes of a mischievous band of vagrants. 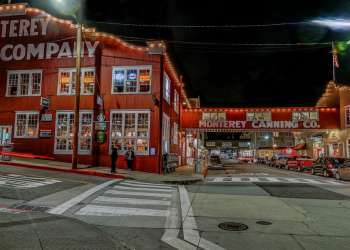 Cannery Row&apos;s heritage is well-preserved on modern-day Cannery Row, but the once-depressed street has been transformed into a neighborhood of shops, restaurants and oceanside hotels. The Monterey Museum of Art offers permanent and rotating exhibits featuring early Californian art and contemporary and traditional American artists. Visit both locations in Monterey at 559 Pacific Street or in the historic La Mirada adobe near Lake El Estero.